Trail is a doozy, it will really get your lungs working and your legs screaming. But always remember, what goes up must come down, and that makes this trail excellent. There is a good network of trails in the park, everything from non technical singletrack to the log garden, with tight turns, fast climbs, and log ramps. Tail really is maintained nice and also drains well, have ridden numerous times during and after rain falls and only have to watch out for low lying areas (duh). Be careful of horseback riders, not many but every now and then you will see a couple, the riders of both bike and horse have an excellent relationship on these trails and would love to keep it that way. 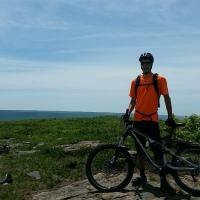 a must ride if in Western Pa.
Review: Trails are fast and hard packed. Not to many rocks and just a few roots. Also the trails have great drainage, riding right after a rain storm is not a problem. Climbs are steep to start but once you are up the hill it's not bad. Trails are built to zig zag a lot, great place to learn how to corner. Review: lots of trails, plenty of elevation to be had up and down. but this place needs some volunteer work, come on trail builders, we need you. Review: Fun park, killer XC loops, aggro downhills. Lots of trails... if you can find them. Signage is poor and trail marking is worse. But once you find your way around, it's a blast. Review: The grades are heartbreaking... I love this place though. I'm hooked!! Review: super nice single track, good hills all over. Review: I use to ride here 20 years ago with a non-suspension bike, Gary Fisher. Lived over on Dutch Ridge Rd and would drop into the park frequently sometimes with my one year-old son in a bike seat behind me. Rode a loop around the ridge tops. Knew there was potential then, would like to return now. Similar Trail: Loved Morraine Lake. Review: I just spent 2 different mornings riding at Bradys Run (Both the south loop trail and then the North loop trail). Heres the skinny: The south loop trail has some nice flow in sections, lots of log crossings and some good techy spots. The Ride is all in the woods and quite pretty (I saw a few deer and something Dark Furry and fast in front of my wheel). 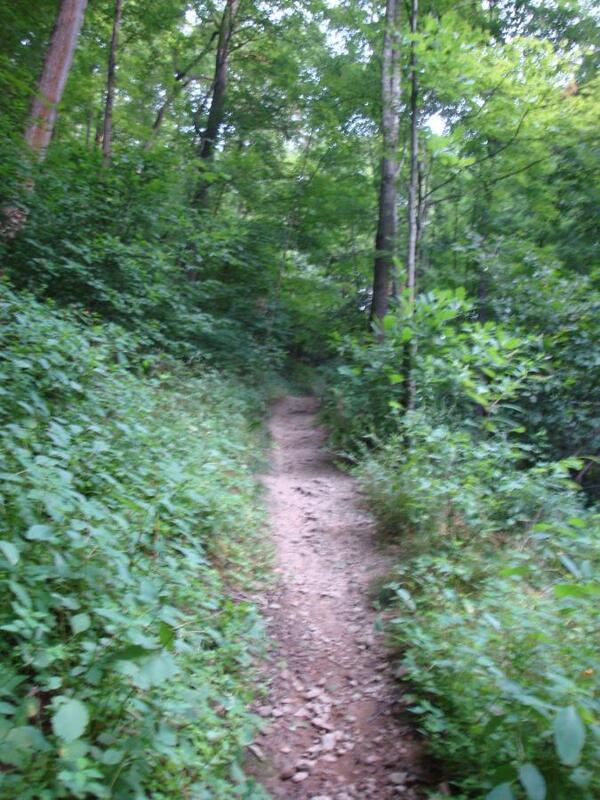 I liked some of the fire road down hills where I could let loose a little (not knowing the trail). I found a few jumps a long the way too! here is what I didnt like, its obvoiusly a multi use trail as some of the trails were not designed with MTBing in mind. In other words a few hike a bike sections that I was not going to be able to climb out of on my bike...Likewise most of the trail consisted of dodging the Horse biscuits. and Finally it was hard to know which trail was the main trail. Blazes were hard to spot and a little inconsistent. (who knows, If I road it again, it might all make sense) While I never felt lost I did back track once or twice to find my way out.. The North Loop was a bit shorter but seemed to have some really nice sections of flow and carving a few switchbacks near the top by the ball fields. I encountered less Horse Biscuits but the climbs are quite tuff. The north loop seemed to have less intersecting trails to take wrong turns on so I seem to ride through pretty easily. Of particular fun was the downhill ride from the ball fields to the ice rinks. Just be careful the last 50 yards are really steep and shoot you right into parked cars in the parking lot. I would recommend this ride! Brady's Run County Park MTB Trail 3.62 out of 5 based on 13 ratings. 13 user reviews.